Use TB2X390 to reference this item. FR : Ce Géocoin voyage de par le monde tout en attirant votre attention sur les dangers de la route, spécialement pour les motards. Merci de poster des photos en rapport avec la sécurité dans le trafic avec votre log et de noter ce que vous pouvez faire pour améliorer la sécurité au volant! ENG : This Geocoin is to travel the world while raising traffic safety awareness, especially for bikers. Please post pictures related to traffic safety with your log and write down what you can do to improve safety on the roads! FR : Ce Géocoin fait partie de la course Todie's Wild Ride, lancée en l'honneur de Tod Phillips, Géocacheur décédé le 12. 08. 2008 au guidon de sa moto à cause de l'inattention d'un conducteur tournant à gauche. Pensez aux autres quand vous êtes sur la route, tous n'ont pas la même carrosserie que vous... Rétroviseurs et clignotants ne sont pas en option sur votre voiture. Vérifiez s'il y a une moto avant de tourner. Merci de respecter les autres usagers de la route. Géocoin généreusement offert par Rockin Roddy. Merci! ENG : This Geocoin is part of the Todie's Wild Ride race, organized in honor of Tod Phillips, Geocacher who died on August 12 2008 while riding his motorcycle because of a driver's lack of attention when turning left. Think of the others when you're on the road, not everyone wears the same coachwork as you do... Mirrors and blinkers were not options on your vehicle. Check twice if there's a motorbike coming before you turn or pull off. Please share the road and respect others. 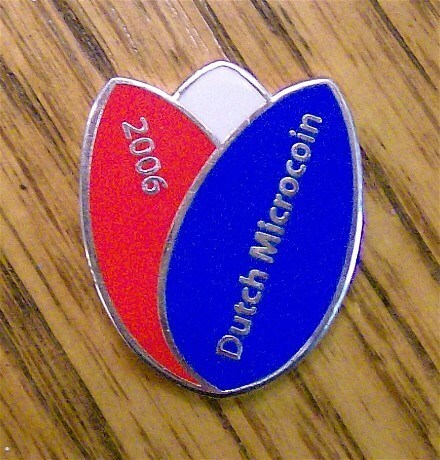 Geocoin graciously given by Rockin Roddy. Thank you! Le propriétaire a signalé disparu cet Objet voyageur. I found this one in orlando fl from look high in the sky to say goodbye ! The very first TB we ever found when we first started geocaching was another in this series, Todie's Wild Ride: This One's For Patrick. We were touched then by the message and are so again this time. We retrieved this pretty coin from an appropriately named cache and will try to help it move along. One half of our team is going to visiting Florida in a couple of weeks. If it's possible he will try to find a place there to leave this coin. Thanks so much for sharing. I will get this to another cache when I get home next week. Picked this up when caching with Famous Amos. We have plan to visit at least three states that haven't been logged in the next month. Will likely take to Arkansas when visiting family at Thanksgiving.